Appreciated and valued for the purpose of manufacturing, exporting, supplying and trading of the best quality of Sealing and Packaging Machines, Saurabh International was established in the year 1996. The product range offered by us consists of Filling Machinery, Vertical Form Fill & Seal Machine and Sealing Machinery. Latest machinery and quality assured materials are used for the purpose of designing the offered Sealing, Filling and Packaging Machines as per the packaging industry laid norms and regulations. 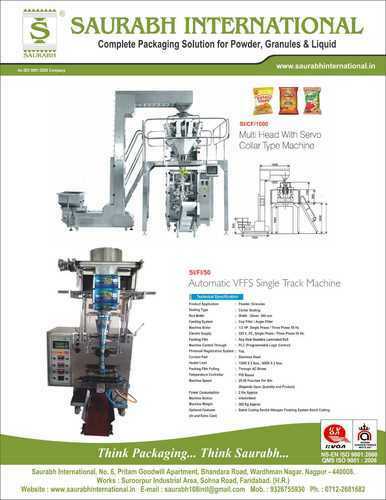 Owing to their optimum performance, less power consumption, low maintenance and longer serving life, these sealing, filling and packaging machines are highly demanded.